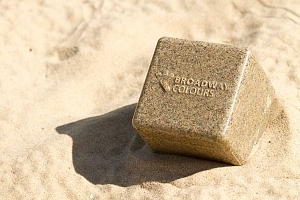 Broadway Colours have been a market leading supplier of high quality masterbatch for 2 decades. Beginning by predominantly supplying the cosmetics packaging industry, demand grew rapidly allowing the company to expand into the 90,000ft2 facility the company occupies today. Starting with 3 extruders in 1997, the company now boasts a total of 8 extruders and 2 high capacity grinders. 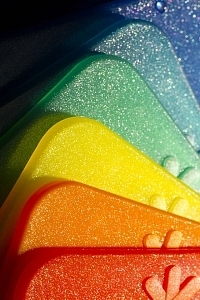 Broadway Colours have become renowned for their special effects in plastics and are able to offer pearl and metallic effects, as well as glow in the dark, photochromic, thermochromic and frosted to name a few. In 2011 Broadway started to supply the rotational moulding market with high quality powders, from their state of the art grinding facility. Since then capacity has more than doubled, with a boost of strong investment over 2015/16. Broadway provide first class technical and after-sales support, further ensuring that our customer’s products perform at their best during and after production. In 2014 Broadway launched their Colour Matching Suite, which allows customers to have colour matches carried out while they are on site, meaning complete product ranges can be approved in the same day. 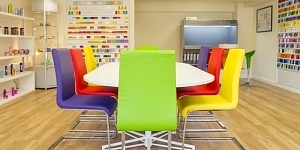 There is a colour selection wall, with hundreds of shades to get things started, as well as an effect selection wall allowing customers to fine tune the finish to their exact requirements. More recently, in the Summer of 2016, Broadway released Process+ Technology® which encompasses their range of performance enhancing additives for plastics. Process+ Technology® provides customers with the confidence that their products will perform to their best, both during and after production. To see how Broadway Colours can help you contact us or if you would like a chat, call +44(0)1986 875100 and speak to one of our friendly sales team.